Sometimes I get wild hares (what does that MEAN) up my you know what and do a lot of cooking to have on hand so that some nights when I’m exhausted I can just drink wine and watch crappy TV and not cook. But then on those nights I end up wanting to cook anyway because it’s the closest thing in my life to meditation and I love it. So I have all this premade food. And then I make more food. And then, I go out of town, and Jay eats enough of said premade food for four dinners for two people in a weekend. And doesn’t take pictures of any of it. It’s a rough life, folks. This is one of those great make-aheads that is SO handy to just pop in the oven and have a hot fresh meal 30 minutes later – for realzies. 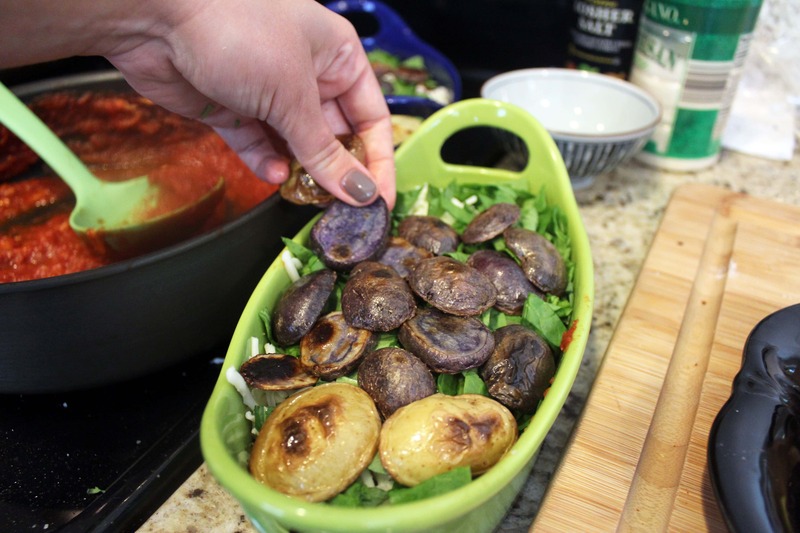 It’s just like a regular lasagna, but potatoes and eggplant make the “noodles,” which is a nice twist! I’m dying for something with tomato sauce on it now. Awesome. 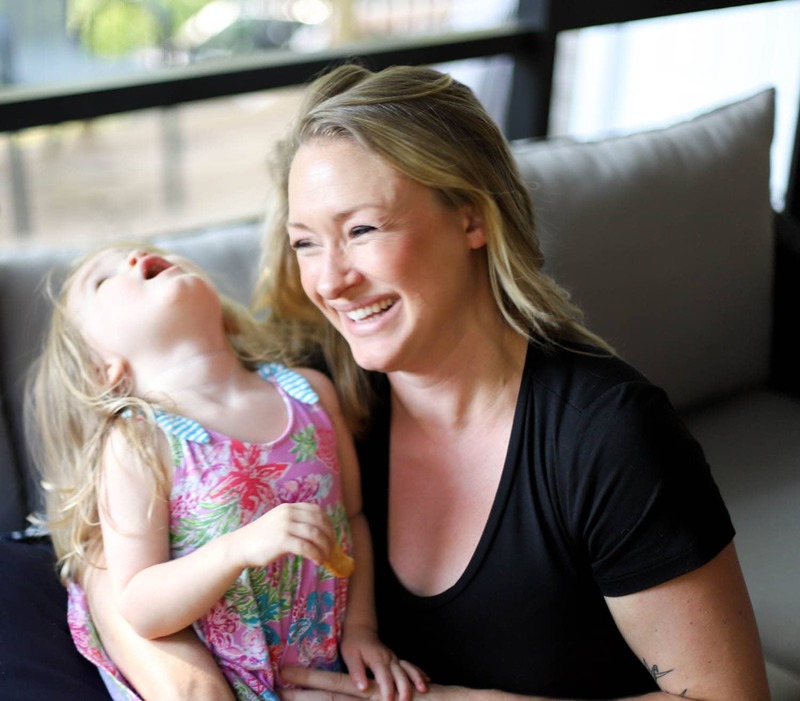 I don’t know what the deal is with all the baby vegetables in my life – I’m a weird human. Please feel free to use regular vegetables. Glory. 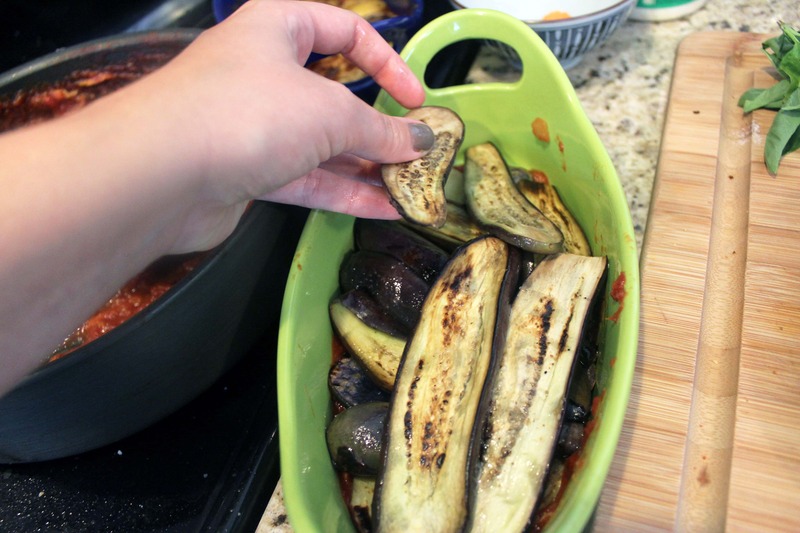 So, to make the casserole quick cooking on the night you’d like to eat it, we take a little extra time to grill the veggies. 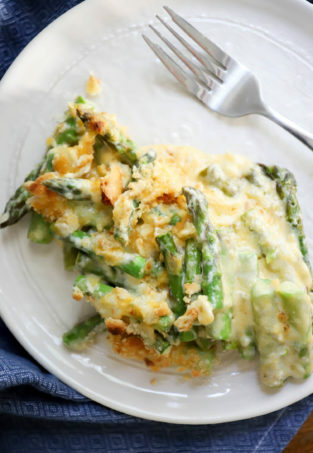 This also gives them some nice flavor and crunch, which prevents the casserole from totally falling apart. Note: you could skip this veggie-grilling, just cook the casserole for twice as long when you’re ready to eat. 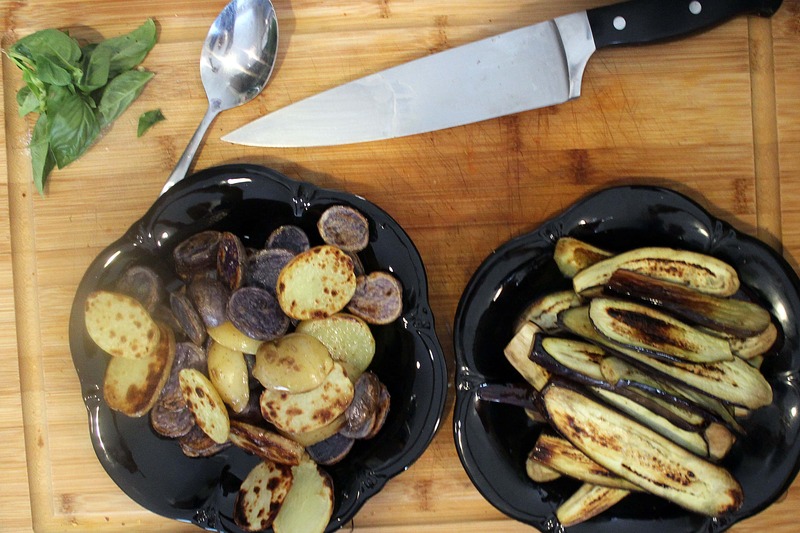 Cut the eggplant and potatoes into thin planks or slices – no more than 1/4 inch thick. 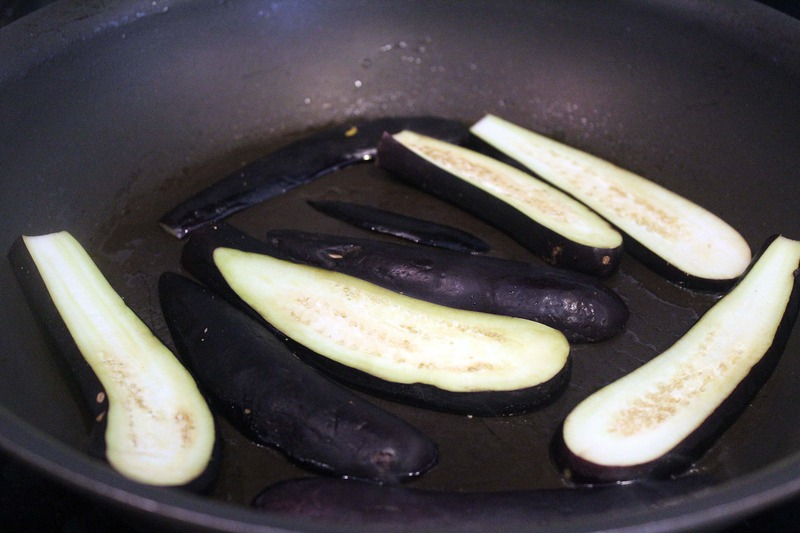 Then, preheat a large grill pan or skillet to medium-high heat and, in a tiny bit of olive oil and with a tiny sprinkle of salt, grill the eggplant and potatoes on both sides. 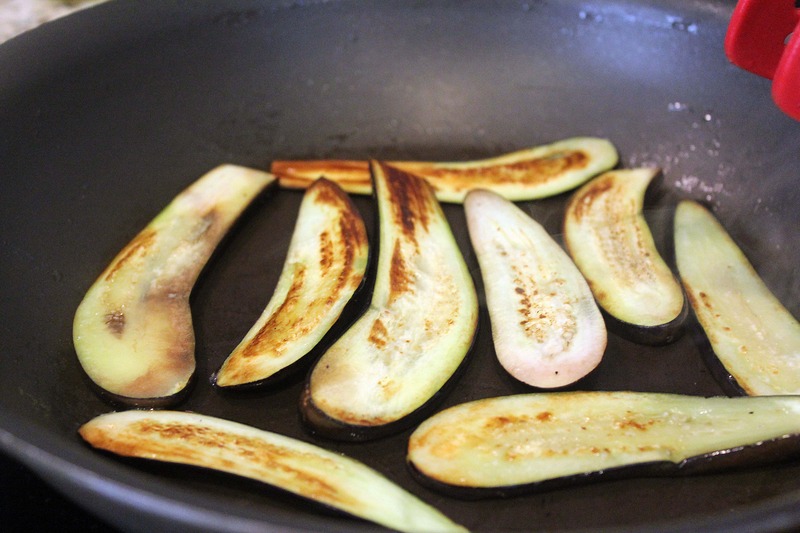 Grill the eggplant for 2 minutes on each side – just until it starts to brown but isn’t totally cooked through. 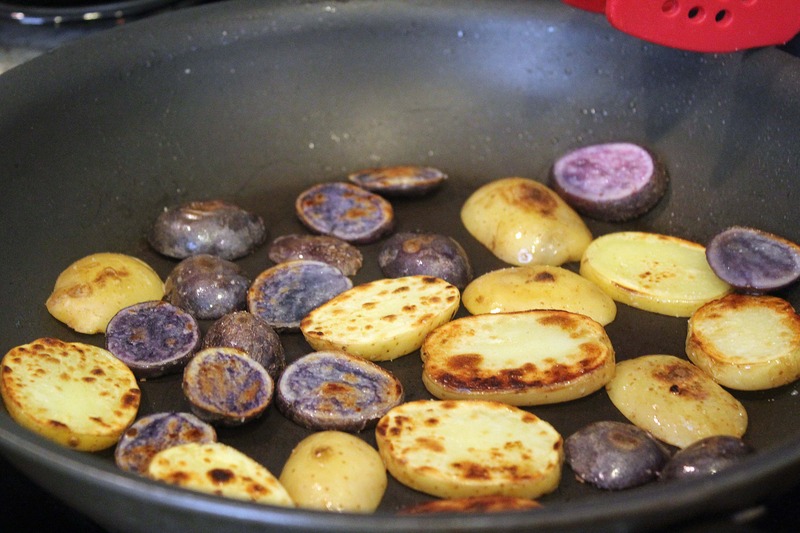 Grill the potatoes for a bit longer – 3 or 4 minutes on both sides until they’re crispy but not cooked through either. 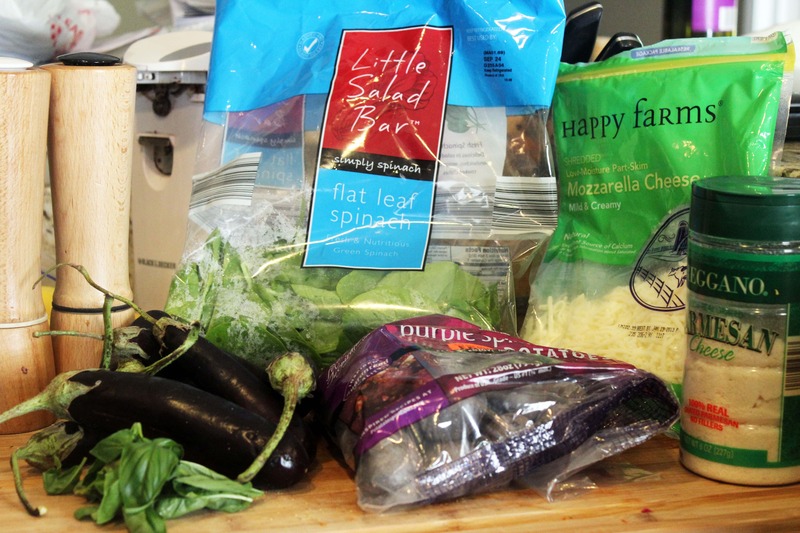 Now we have lots of nice partially cooked veggies, and we’re ready to layer our lasagna! I was making two small dishes with the assumption that we would eat this on two separate nights. You can use one large dish, though! 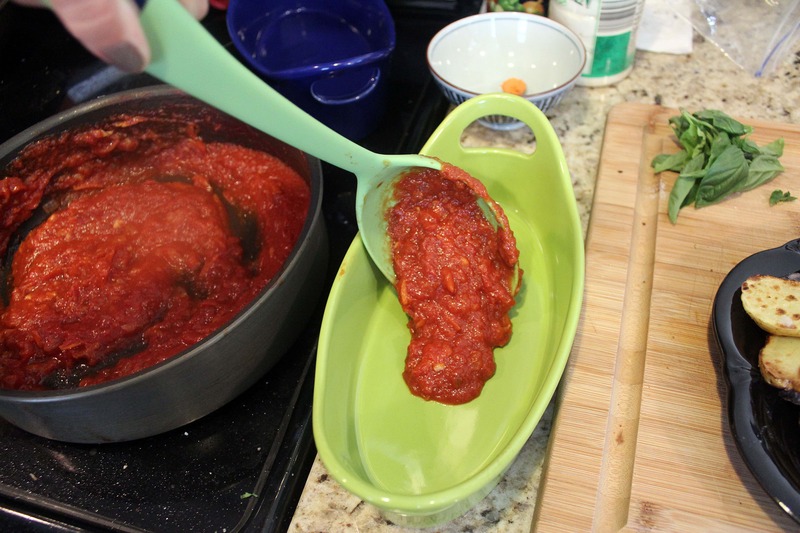 First, put a layer of marinara in the bottom of the dish. 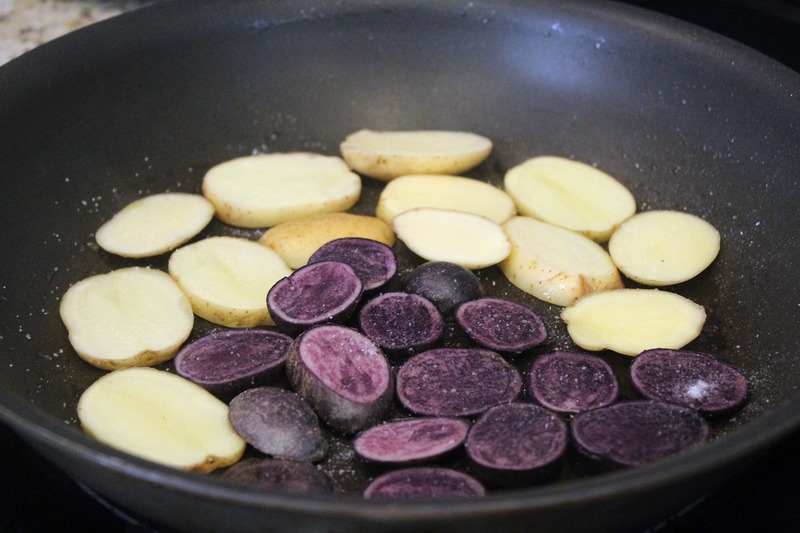 Then, overlapping the pieces, make a layer of potatoes. 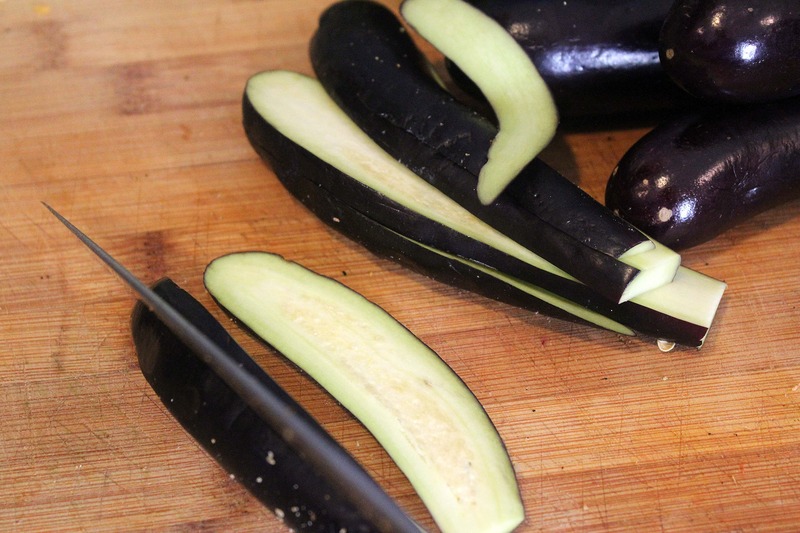 Then a layer of eggplant – we want everything to fit really tightly together. 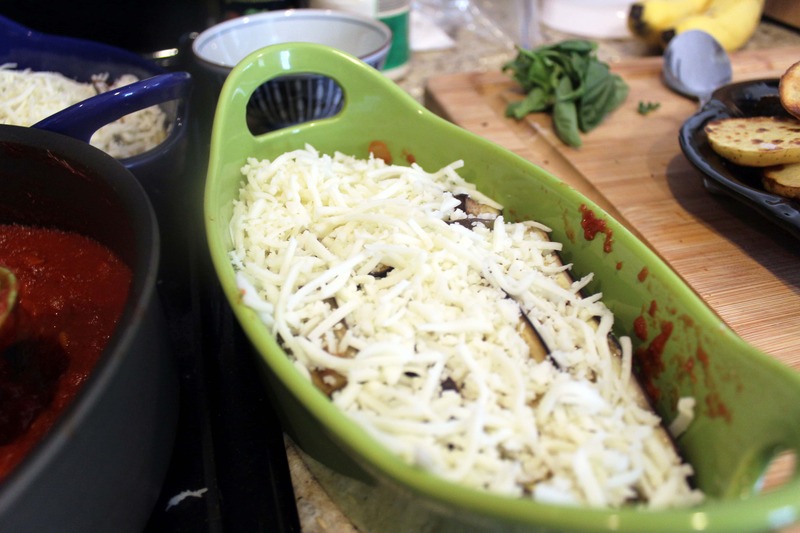 Then, a layer of cheese goes over the first layer of veggies. 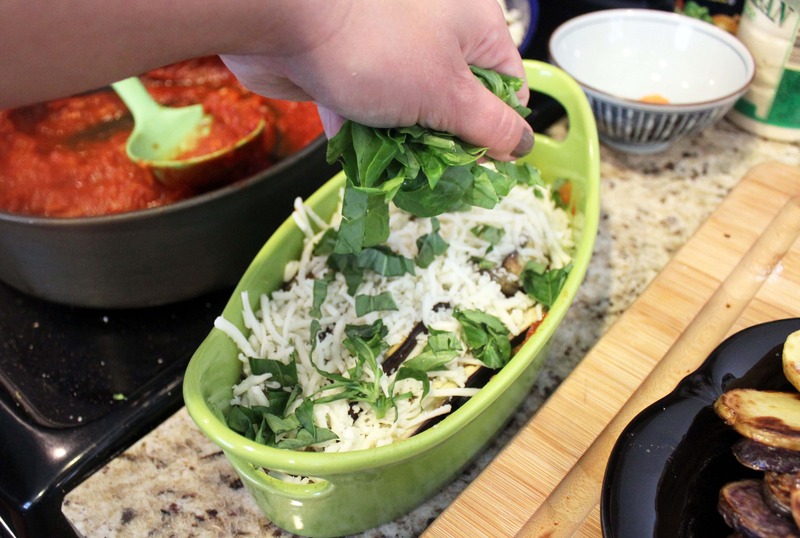 Over the cheese, put all the basil and spinach – that’s the center of the lasagna. 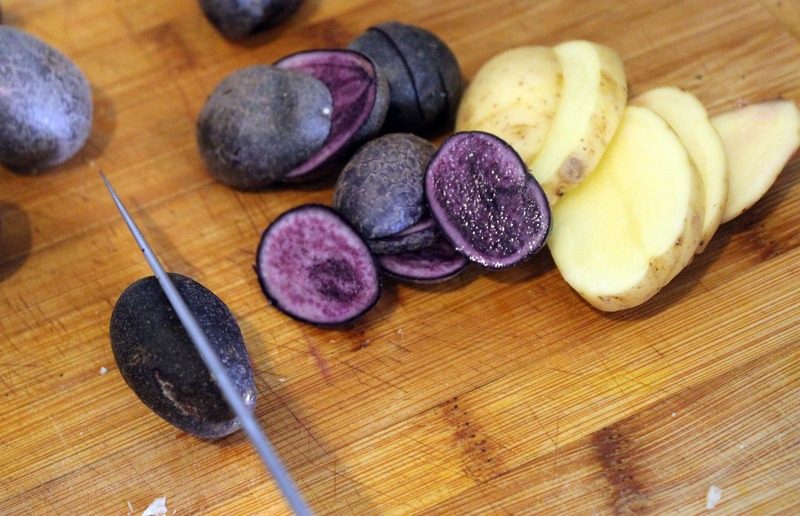 Then, form another layer each of more potatoes and eggplant. 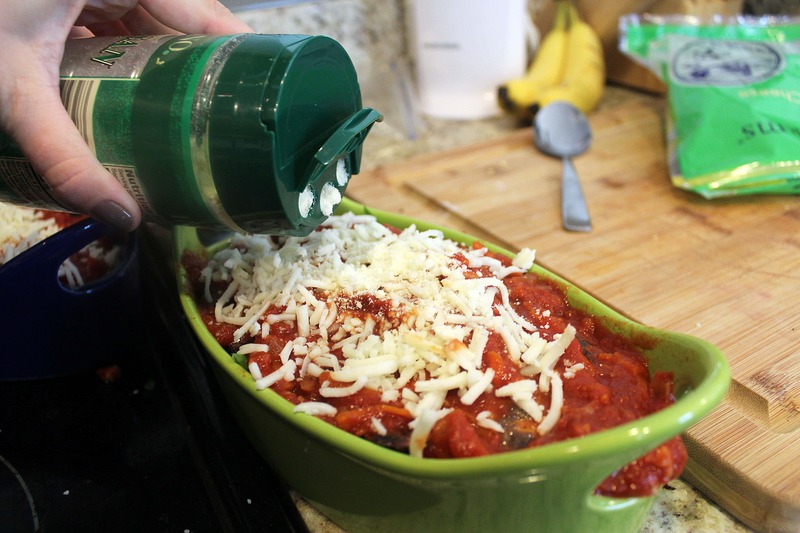 Top the whole mess with more marinara, the rest of the mozzarella and all the parmesan, and BAM. Go out of town and get zero pictures of the final product. Oh well. Sorry about that. At this point, you could tightly cover and refrigerate the lasagna for up to 4 days, or freeze it until you’d like to eat it. 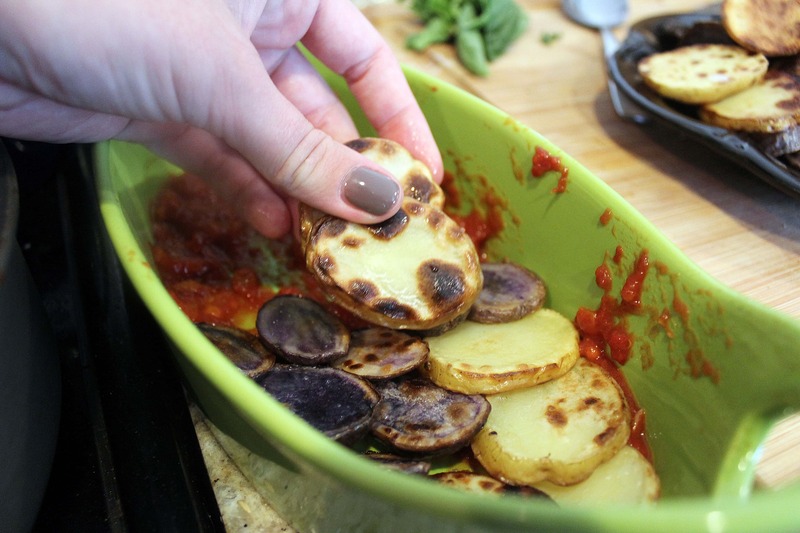 When you’re ready to cook this bad boy, do so covered at 350F for 30 minutes until the potatoes are tender (stick a fork in if you’re not sure), then remove the foil and keep cooking for 10 or so minutes more until the cheese on top is bubbly and brown. 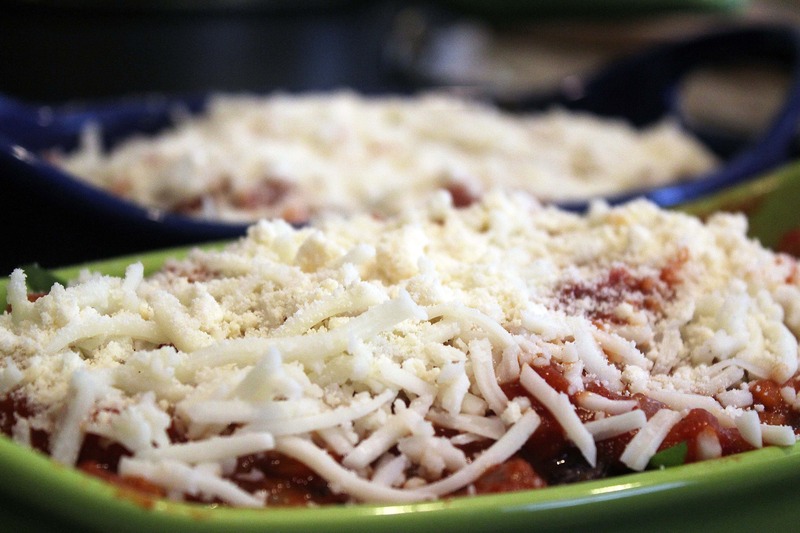 When the lasagna is cooked, let it sit for 10 minutes just like a noodle lasagna to set juts a bit, then serve it. 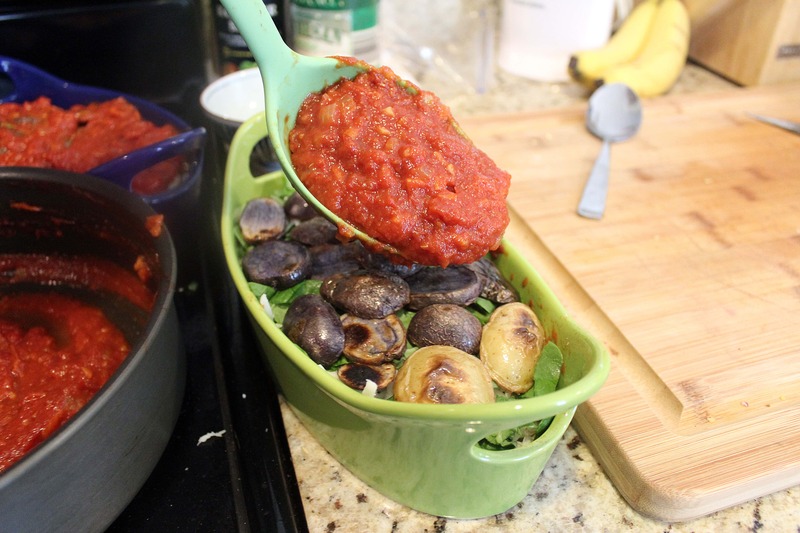 Now, note that we only put a layer of marinara on the very top and very bottom of the dish, so you might have some leftover. If you do, pass it at the table in case folks want their lasagna extra saucy. I find that only having sauce on the edges like this makes the vegetables stay together better AND highlights the flavor of the veggies. Extra at the table never hurts, though! 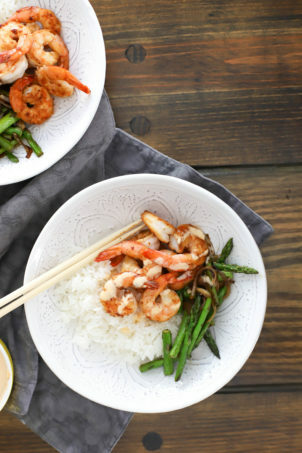 This is great to have for busy nights when you JUST WANT TO EAT SOMETHING NOW, so make one this weekend and have it on your busiest night next week. 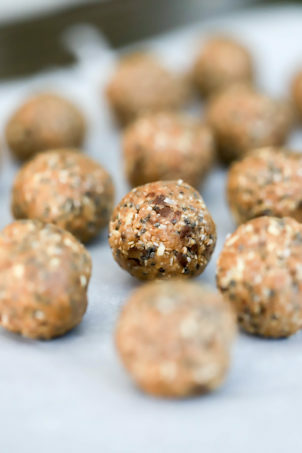 I will make this today!! Sounds soo scrumptious. Now to the Farm Gate Store to get some eggplant. 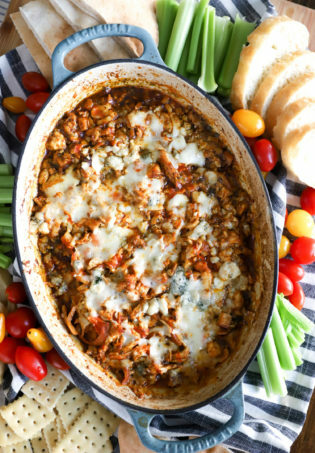 It’s great for fall – so comforting and warm! Let me know how it turns out.